One of the oldest and most reputable private companies in Kosovo, Meridian Corporation, has been accepted as a member of the World Economic Forum (WEF), with headquarters in Geneva, Switzerland. Meridian Corporation is the only Kosovar company that will represent the country in WEF, whereas its membership in the World Economic Forum is a recognition for the company’s role and contribution in improving the economic and social environment of our country. Established 26 years ago, Meridian Corporation is a distribution company with particular focus in the food and beverage industry. Meridian Group, comprises of other successful business units such as supermarket chain Meridian Express, Meridian Kitchen and Buka Bakery. To Meridian Corporation, the membership in WEF is a confirmation of its leading position in the market as well as new extraordinary opportunities for interaction with other numerous leaders of the industry, academia and experts which are available in WEF, to further advance the company and its operations in the market. Member of the Board of Meridian Corporation, and Chief Executive Officer of Meridian Express, Agon Gashi, voiced his pride over the fact that Meridian is moving beyond the borders of a small market, such as the Kosovo one, and is earning its equal ranking among the members and multinational companies which are part of this successful world forum. “Meridian Corporation will remain a model company from Kosovo, which represents our market but also the best doing business features from our country in the World Economic Forum,” said Gashi. 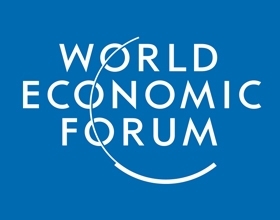 Founded as a foundation in 1872, World Economic Forum is an independent international organization, which is committed to determine the challenges, solutions and actions, always in the spirit of global citizenship, whereas it remains in the service of building of sustainable communities through an integrated concept of senior-level meetings, research networks, working groups and digital cooperation.